In the low season from October to April we rent our three cottages to self-catering guests! Our farm located near Selfoss with a direct connection to route 1 (ring road) is an ideal starting point for excursions to all the beautiful and interesting sights in South Iceland! The minimum rental period for our cottages is two nights! The rent includes bed linen, towels and tea towels as well as water, energy and WLAN access. On request we also offer breakfast and/or dinner. Please leave the cottages in a clean and tidy condition as found on arrival, with all dishes washed and put away. On a floor space of 40 m2 Eyjafjallajökull Cottage offers to bedrooms with two single beds each, a spacious bathroom with shower, a cozy living room with dining table and couch as well as a kitchenette with stove (2 hotplates), sink, fridge, tableware, cutlery, pots, frying pan, glasses, coffee machine, electric kettle, toaster etc. On a floor space of 25 m2 (plus gallery) Sjónarhóll Cottage offers one bedroom with a bunk bed, two single beds on the gallery, a bathroom with shower, a cozy living room with dining table and couch as well as a kitchenette with stove (2 hotplates), sink, fridge, tableware, cutlery, pots, frying pan, glasses, coffee machine, electric kettle, toaster etc. On a floor space of 15 m2 our cozy Skógarkot Cottage offers two single beds, a bathroom with shower and a table with two chairs. Please note that Skógarkot Cottage does not offer any cooking facilities or a fridge. There is only an electric kettle available. But you are welcome to book our breakfast and/or dinner arrangement. 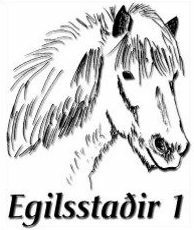 You would like to meet the icelandic horse in its natural environment and join us for a riding tour? Your are welcome to drop by and share this unique experience with us! Our riding tours are suitable for beginners as well as for more experienced riders and are performed in small groups with a maximum group size of six people. Speed and distance of our riding tours are adapted to the riding skills of the participants. Wearing a riding helmet is mandatory on our riding tours! Helmets and rain gear is provided free of charge. We recommend wearing long pants and sturdy shoes. Please note that for safety reasons you are not allowed to take backpacks, large cameras, selfiesticks or other inappropriate items with you on horseback. Please contact us at least one day in advance by either calling +354 8623628 or filling out our booking form so we can schedule enough time for your visit!